When I look back at all the games we’ve played over the years, I discover a theme I did not realize. We’ve long claimed that our absolute favorite games are either cooperative, abstract or feature mind puzzles. That’s still true since we do gravitate towards ones that fit neatly into one of those categories. A perfect example is the recent feature for Curio – that one is all about solving puzzles and is cooperative! But another genre that is always present in our game night bag is auctions. Sure, we love heading to estate auctions from time to time (usually looking for old board games), but in this case we’re referring to games that have an auction mechanic as part of the game play. We’ve found great ones at thrift (Elixir) and picked up others brand new (Modern Art)! And I would be remiss if I didn’t give a nod to High Society – that one has an auction every round and is a mean game! Most of these use an auction mechanic as a piece of the game. 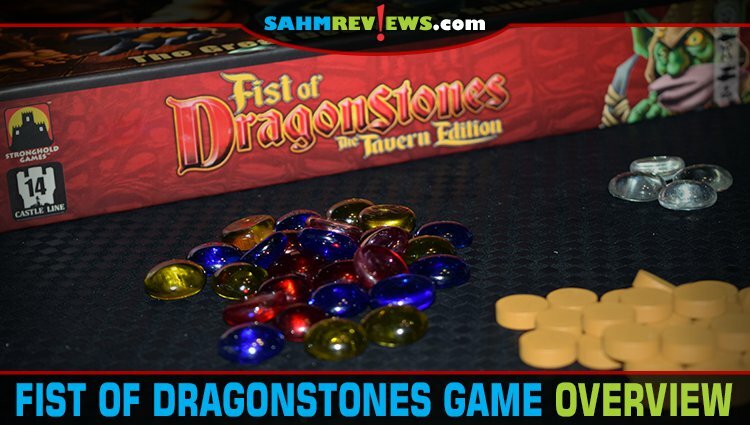 We’ve recently been playing Fist of Dragonstones: The Tavern Edition by Stronghold Games and it also features an auction. And not as a minor feature – it’s the main thing you’ll participate in during the game! Of course, you have a limited amount of money, so bidding has to be strategic and well-timed! 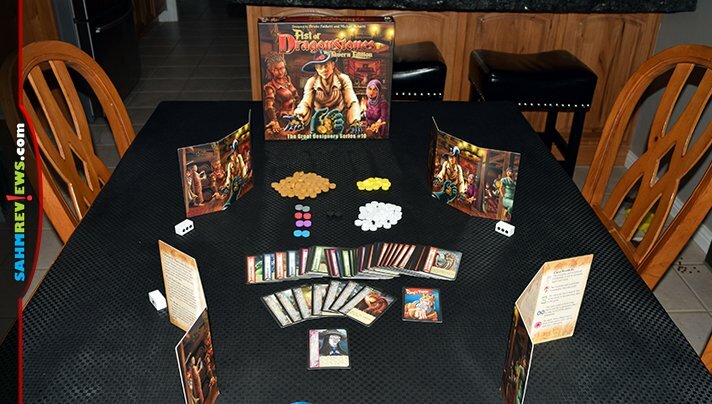 Fist of Dragonstones: The Tavern Edition supports up to six players and is part of Stronghold Games’ “Great Designers Series” line. 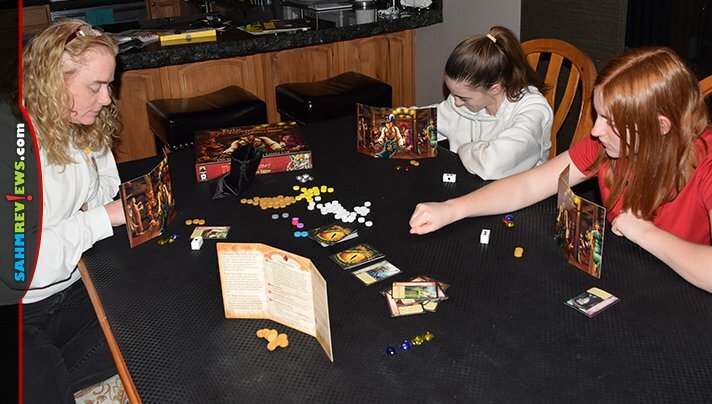 Set in the same world as the popular game, The Dragon & Flagon (we’ve never had a chance to play that one), tales of magical Dragonstones are the norm at the tavern. By challenging you to a game of skill and luck, you have a chance to win your own Fist of Dragonstones! 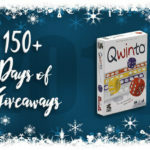 Each player receives a player screen, 16 coins (9 Fairy Gold, 2 Common Gold and 5 Common Silver), 4 random Dragonstones drawn from the bag and a scoring die. The rest of the coins and Dragonstones are placed in the center of the play area within reach of all adventurers. The included playing cards are sorted by type (standard character, special character, King’s Favor and a witch), with the special character cards being shuffled into their own deck. Each player puts their scoring die and Dragonstones in front of their player screen and all coins behind it so no other players know how many they have. 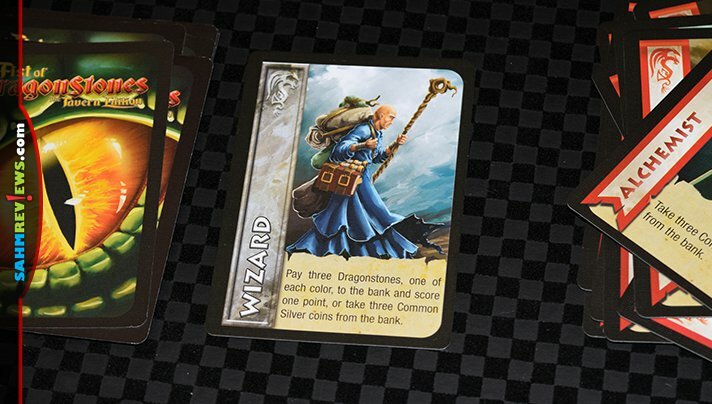 Three special character cards are drawn, read aloud so everyone knows what will be available this round and shuffled with the seven standard character cards. The King’s Favor card is placed on the bottom of this new deck and the witch on top. 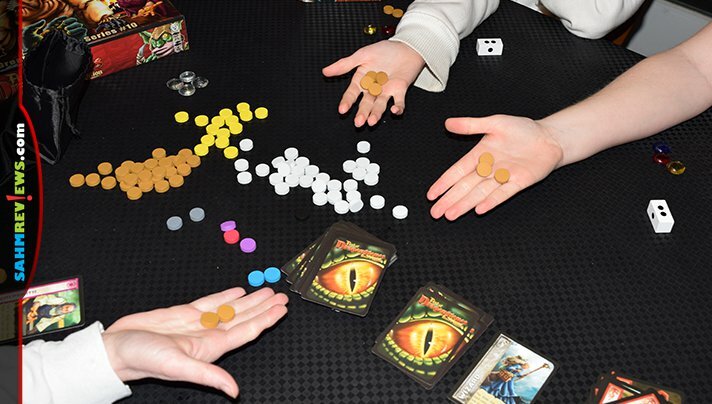 A game of Fist of Dragonstones: The Tavern Edition is made up of rounds which consist of a series of auctions for the character cards in the deck. 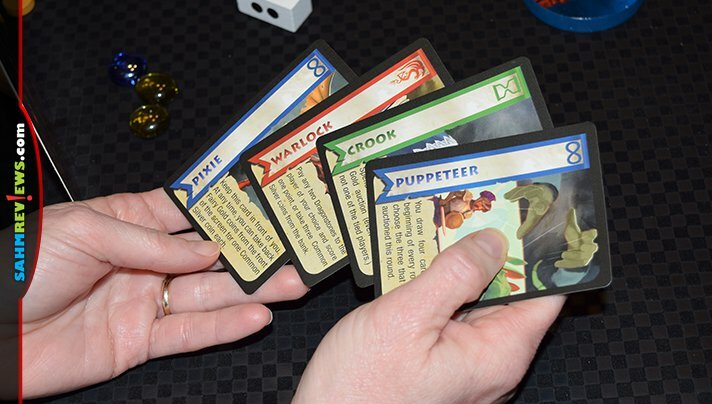 After each auction, the player that wins the card uses its powers. At the end of each full round, the three special characters are set aside and will not be used for the rest of the game. Three new cards will be added during the beginning of the next round. After setting up the deck for the round, the witch card is turned over and bidding commences for that card. The high bidder receives a Black Magic coin, which can be played later to curse one of the other characters coming up for auction. One by one the other cards are revealed and auctioned off to the highest bidder. 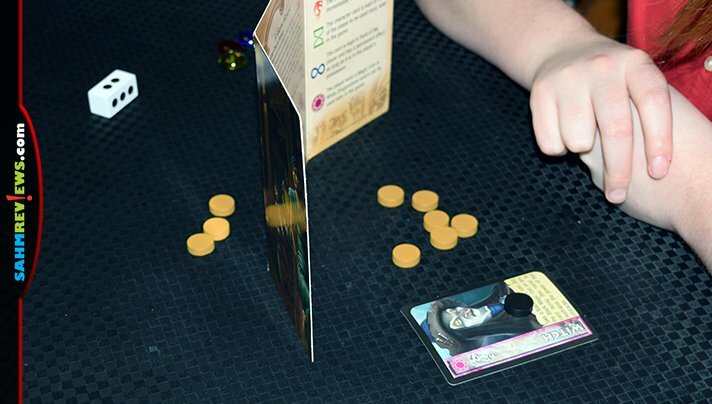 Bidding is done by sealed bid, with players choosing coins from behind their screen, placing them into a hand and revealing it at the same time as everyone else. Bidding is only done with gold coins, either Fairy or Common, the only difference being whether they are spent and lost (Common) or returned to you at the end of the round (Fairy). If there is ever a tie for high bid, those bidders bid again using their silver coins (again, Fairy or Common). Unlike a traditional auction, in Fist of Dragonstones: The Tavern Edition, all coins bid, whether you are high bidder or not, are spent and either returned to the bank (Common) or placed in front of your screen until the next round (Fairy). After all the cards have been auctioned off, the King’s Favor is given to the person who won the final card. They will receive a Common silver coin from the bank and have the honor of choosing the next three special character cards to be up for auction during the next round. As for rules, that’s about all there is to playing Fist of Dragonstones. What makes the game special is all the different characters (and powers) you’ll be bidding on. You’ll have a shot at standard characters each round, but special characters should only come up once per game (unless you run out of cards before no one has won – then you reshuffle and make a new deck). These characters allow you to collect additional magic coins, steal gold from other players, turn in Dragonstones for points, win all ties or even make more than one bid in the auction! With 66 different special characters each with their own power, along with the seven standard characters, each game is unpredictable and full of chaos! Of course, your goal is to win. And to do so you must activate the right characters at the right time to collect and turn in Dragonstones for points. 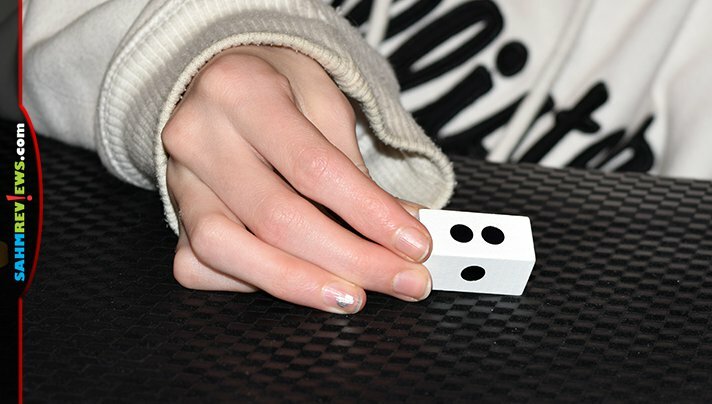 The first person to claim three points, tracked on their special scoring die, wins the game! We’ve been very impressed with how every session plays out differently each time it has made it to the table. Just because one person gets out to an early lead with a point or two certainly doesn’t mean the game is over. That person may have spent all their money and now has to worry about where future coins are coming from so they can bid at all! We won’t go as far as saying this ruins all other auction games for us, as there is still something entertaining about timing your bid for stock purchases in an 18XX game or running up the price on a piece of artwork, but it is certainly close! You can pick up a copy on Amazon or at your favorite local game store without having to worry about outbidding anyone! Make sure you check out Stronghold Games’ website to keep on top of their merger news and see what new games will be coming out this summer. 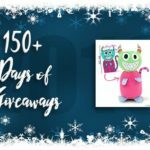 In the meantime, enter to win a copy of Fist of Dragonstones: The Tavern Edition and some cool promos to go with it below! Don’t forget to return each day for additional entry opportunities! I don’t think I’ve ever been to an auction. But it does sound like a good idea to set a budget for an item before the bidding starts so that you don’t go overboard in bidding excitement. I have only attended a few auctions and was put off by the loudness and the smoking. You can’t get good deals anymore as everyone is buying to resell online. But I do have a final amount price that I stand by when I did bid. Definitely! Don’t want to get caught up in a bidding war and pay more than it’s worth. I don’t attend auctions, but I definitely would set a budget/final price. I set an overall budget. I don’t do auctions but it makes sense.